Peat is passionate about ensuring that public investment on research leads to societal outcomes. His research and practice is geared to improving the design of projects and programs to achieve such outcomes in ways that are equitable, accountable and efficient, especially in areas of natural resource management and sustainability. Peat has worked for the NSW Government on research for natural resource management (NRM) policy, with the Adaptation Research Network for Marine Biodiversity and Resources (University of Tasmania) on adaptation in fisheries, and with the CSIRO Coastal Collaboration Cluster (University of Tasmania) on improving the linkages between science and decision-making in coastal zone management. He has also worked as a consultant. From 2012-2015 Peat was the Convenor of the Science for Society and Policy Program in TIA. He also led a TIA research project that assisted nine regional NRM organisations across south-eastern Australia to update their strategic plans for climate change. More information on this project and its outputs can be found here. 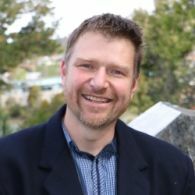 Peat is a social and institutional researcher and a Senior Research Fellow at the Tasmanian Institute of Agriculture (TIA) and provides social science expertise into a variety of TIA projects. He is currently leading a major social research initiative called the Aspirations for Food and Agriculture project (TasAgFuture). He completed his doctoral degree in 2009 on the integration of local and scientific knowledge about climate variability to improve management of the eastern Australian rangelands, and has since worked in diverse action-oriented and policy research. Peat has substantial experience leading and managing large and complex inter- and trans-disciplinary research projects. He is a trained facilitator and a collaborative (systems) leader. Peat teaches into various units in the Agriculture and Geography disciplines and has been involved with the development of the Breadth Unit Working with Communities. During 2017-18 Peat is leading a major TIA social research initiative, Aspirations for Food and Agriculture (TasAgFuture). Through the project, TIA will better understand the drivers of change for Tasmanian food producers and processors, and changing needs for research, development and extension. Tasmanian food producers and processors are encouraged to participate in the project – more information is available at utas.edu.au/tia/tasagfuture. Peat is closely involved with the University of Tasmania’s Environment, Resources and Sustainability Theme. He is working with the co-directors of the Theme to support inter- and trans-disciplinary research across the University, especially in building skills and opportunities for early career researchers to effectively tackle complex or ‘wicked’ problems that are so common in ERS areas. Peat’s research to date in agriculture, fisheries, coastal zone management, climate change adaptation and natural resource governance writ large has most recently led to synthesis research on means by which research projects and programs can more effectively contribute to sustainability in diverse situations. His research has resulted in invitations to international workshops and to contribute to and review innovative research design in complex problem contexts in the USA and New Zealand. Peat has consulted with World Wildlife Fund (WWF) International to inform the development of new approaches to supporting conservation research to better contribute to conservation outcomes. His research on boundary work, boundary organisations and co-production are contributions to larger efforts to democratise research and particularly to make this work in practice. Peat has recently collaborated with researchers developing and implementing approaches to better link research, policy and practice for sustainability outcomes in the USA and New Zealand. Peat has published in diverse forums for public, professional and academic audiences. His scholarly work appears in leading international journals in STS, and environmental policy, governance and natural resource management. His recent book Enhancing Science Impact: bridging research, policy and practice for sustainability, co-authored with Kevin O’Toole, Marcus Haward and Brian Coffeyis available from CSIRO Publishing. The proposed research aims at exploring which type of diversification can provide the benefits discussed above and in which context it can be a solution to sustainable agriculture with the overarching research question being To what extent can the productivity, profitability and sustainability of agricultural systems in Australia and globally benefit from being diverse? The two hypotheses to test and either providence evidence for or reject are:1.Extensive/mixed agroecosystems are higher in diversity and/or more resilient to climate change than highly specialised systems, such as monocultures.2.Increasing agricultural and tree biodiversity within the broader landscape will improve productivity, deliver ecosystem services, and improve rural livelihoods. The project will provide a literature review /scoping study to inform CRC perspectives on social and institutional dimensions of on-farm soil management and adoption. This is an internal TIA project under the DPIPWE-TIA JVA (C0013208). It has been created on RMDB in order to have the project feature on the WARP for Dr Peat Leith. The project will first identify the specific reasons for sub-optimal processing yields in Tasmania, NSW and Victoria. It will then review any new innovations growers could use to raise productivity or reduce cost, and identify the innovations most likely to be successful. In phase 2, the project will trial the most promising innovations in a participatory research and extension program that will deliver net yield increases of processing broccoli (25%), carrot (18%), cauliflower (11%) and green beans (18%) compared to current levels within three years. This project will identify and use existing knowledge to generate new concepts, methodologies and understandings to inform the development of the NRM Climate Change Adaptation policy. This could include synthesis and analysis of previous research to the extent that it leads to new and creative outcomes. The research associated with this technical support role will engage with the Strategic Land Services Officer on a regular basis and travel, when necessary, in order to provide support. Theoretical and empirical work from science and technology studies and climate adaptation will be applied and grounded through practice, detailed notes and recordings of process and outcomes will be used to advance knowledge on context-appropriate applications of uncertain science to natural resource policy. The aims of this project are to provide up-to-date climate change information at the appropriate scale and format, and to provide the capacity to apply this information effectively and appropriately in the regional NRM planning processes. Peat has supervised PhD candidates working on specific challenges in research policy, innovation studies, climate change communication and adaptation, and environmental and resource governance. He is currently seeking highly capable research higher degree candidates wishing to advance scholarship on institutional design for sustainability, especially at the interface of science and decision-making. Debates about the interactions between knowledge production and democracy have never been more topical. In a so-called ‘post-truth’ world these matters require serious attention in both academic and very practical settings. Peat provides the breadth of experience to ensure sound scholarship can be combined with practical applications and impact.